If people want to experience the Netherlands, they are probably going to Amsterdam. There's a lot to see in Amsterdam, but what makes it a great destination for tourists is how it opens up the rest of the country for them. If you are in Amsterdam, you can spend some time exploring the city and the rest of the time, with all the sights in the Netherlands outside of Amsterdam. And believe me, there is a lot to see outside of Amsterdam. From other big Dutch cities to quaint villages along canals and full of windmills - Amsterdam's best day trips will not get you far, but they still show you a whole new place. 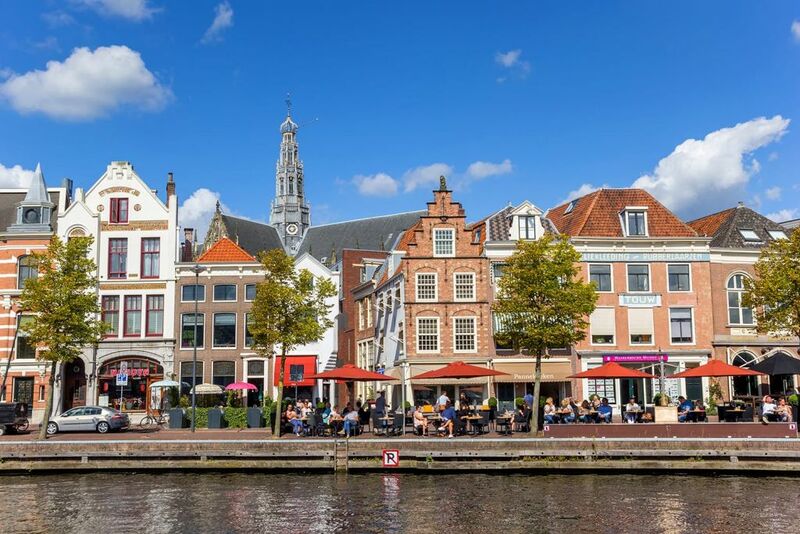 Just a short drive from Amsterdam, a visit to the quaint university town of Utrecht could not be easier. Start your visit here in the central square of Domplein and look out over the towering Dom Tower. After a stroll through the Pandhof Domkerk, walk up the tower to enjoy the view of the city and listen to the melodious bells of the carillon. Take a stroll through the university district of the city to find great cafes and markets before finding the fantastic Oudegracht waterfront in the Stadhuis district. 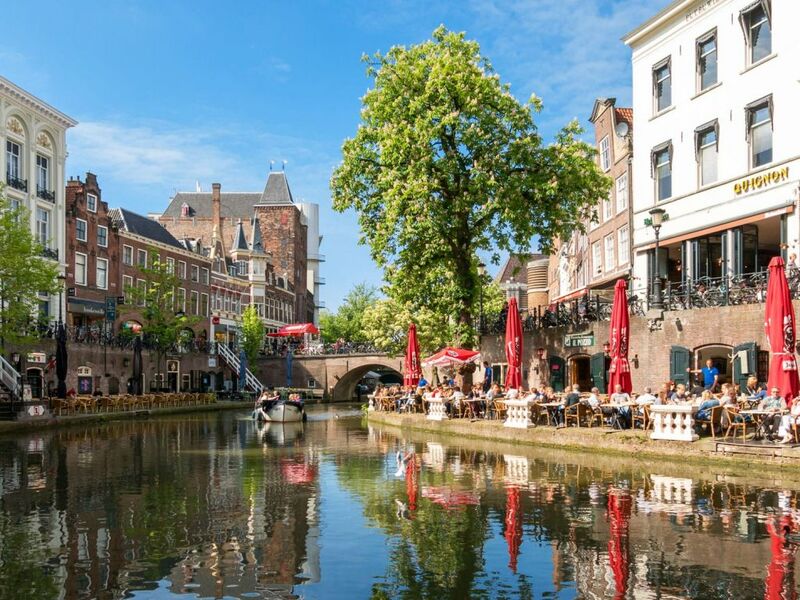 Whether you are cruising the Utrecht canals or simply strolling along the canals, here are some of the most beautiful places in the city. Down the water, you will find numerous bars and art galleries that are actually located in basements under the street. Of course, you must not miss the psychedelic lights of the whole market tunnel that leads to the canal. Getting there: With a train journey from Amsterdam to Utrecht in just 30 minutes, this is the easiest way to make this great day trip. The Netherlands are famous for their tulips and there is no better place than the Keukenhof. 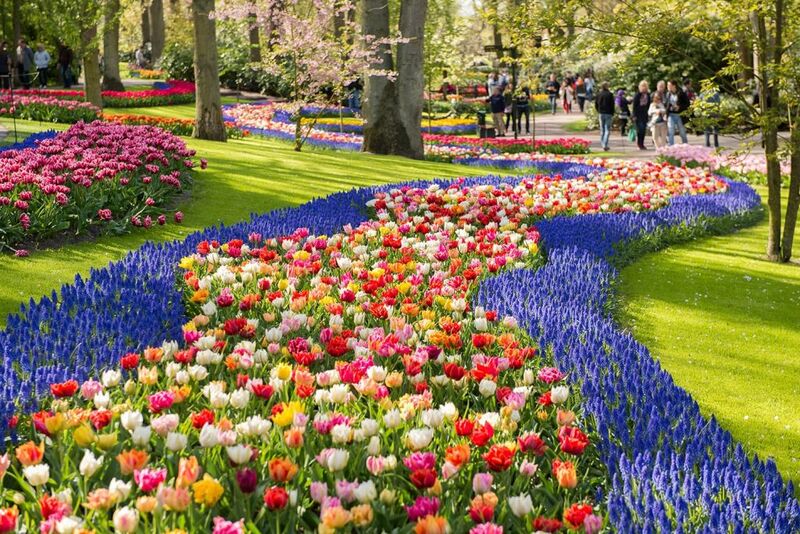 Officially the largest flower garden in the world, at Keukenhof you will not only see tulips, but also all sorts of flowers, certainly one of Amsterdam's best day trips. The gardens are located in the small town of Lisse and are only open in the spring from mid-March to mid-May. You do not need a green thumb to appreciate these gardens, as the flowers are often arranged in large patterns and simply burst with color. Then there are the flower fields on which run long strips of bold colors, row by row, creating vibrant rainbows that can best be seen from the air, or at least from the small windmill on the grounds. At the Keukenhof, the place where you look, full of life and color, is an ideal place for avid photographers. Getting there: The easiest way to Keukenhof is with this guided tour, especially as the tour includes a quick start. Getting around by public transport is a bit more difficult, depending on where you are in Amsterdam. The Europaplein 852 bus takes you to the Keukenhof in about 30 minutes. 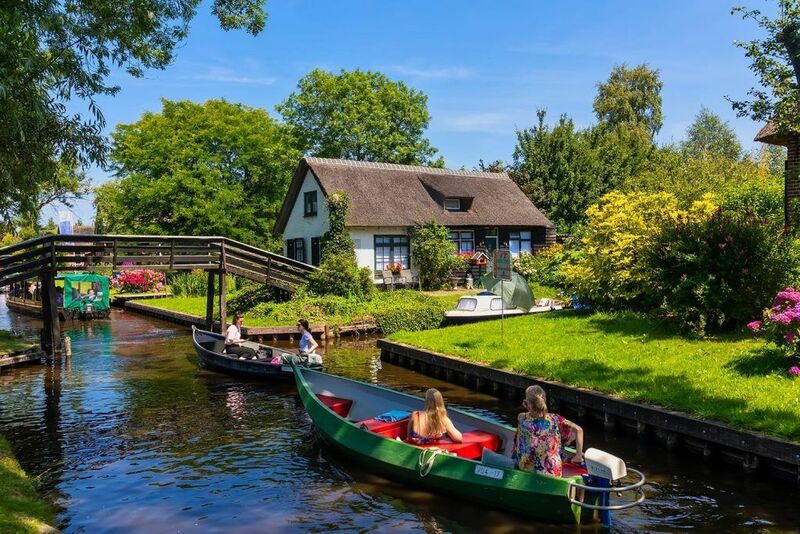 Often referred to as the "Venice of the Netherlands", the canyon village of Giethoorn is undoubtedly one of the best day trips in Amsterdam. From a fairy tale, in this green village Giethoorn, the houses are mainly beautiful old houses, which preserve the atmosphere of bygone days. The cottages here are known for their thatched roofs, which confirms the idyllic nature of Giethoorn. Enjoy the beauty of the village. Getting there: Giethoorn really is not the most convenient place to reach from Amsterdam. Participating in a day trip reduces the stress of a visit. This is because public transport requires a three-hour ride from two trains and a bus to get there. People love to see the windmills when they come to the Netherlands, and Zaanse Schans is ideal for those looking for their destination. 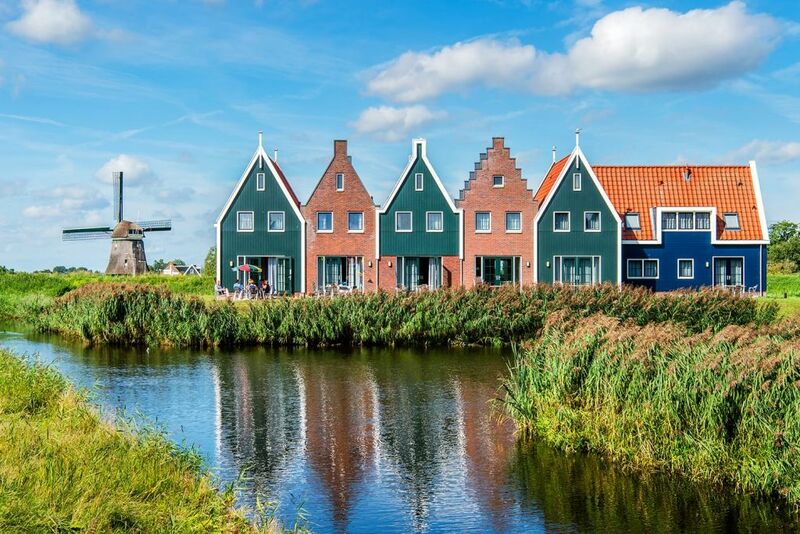 The small village of Zaanse Schans is one of the best places to visit Amsterdam, thanks to its picturesque collection of traditional houses and windmills along the Zaan River. Not only will you be able to see this typically Dutch scene of windmills from the 18th and 19th centuries, but also learn more about the heritage of windmills and the surrounding area at the Zaans Museum. In the village you can also learn how to make iconic Dutch wooden shoes, visit local bakeries and cheese shops. 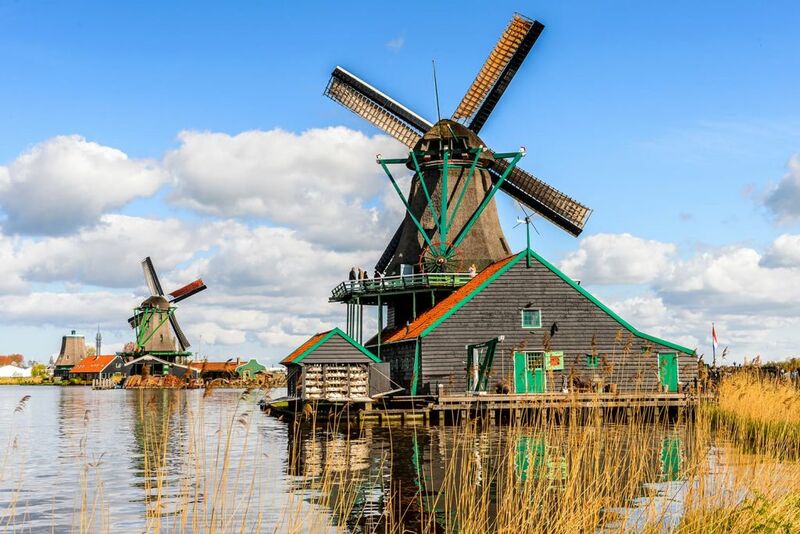 Zaanse Schans is the best way to get a glimpse of Holland's traditional heritage in a half-day excursion. Getting there: Zaanse Schans is just a 20-minute train ride from Amsterdam Central Station. However, if you take a half-day excursion with a guide, you will get a better insight into the history and culture of the village. For a small city experience in the Netherlands, Delft is the best candidate, one of the best attractions in the Netherlands. Although Delft is known for its characteristic blue and white Dutch ceramics, it also houses an interesting part of the interesting urban landscape. If you go out from the small canal network of the city, you start with the marketplace, because so you see both the city hall and the Nieuwe Kerk. Look for the Windmill, the Rose and the Oostpoort Gate at two different edges of the Old Town, each with their own style. Famous is Delfts famous artist Johannes Vermeer, whose life and work can be seen in the Vermeer Center of the city. The other is, of course, Delft ceramics, whose history you can discover in the Royal Delft factory, the last of its kind in the country. Getting there: The easiest way to reach Delft from Amsterdam is by taking the regular 1-hour train that passes through Rotterdam. However, if you want to combine Delft with other nearby cities, a guided tour is the easier option. As a rising star in the Netherlands, more and more people are moving to the modern port of Rotterdam. 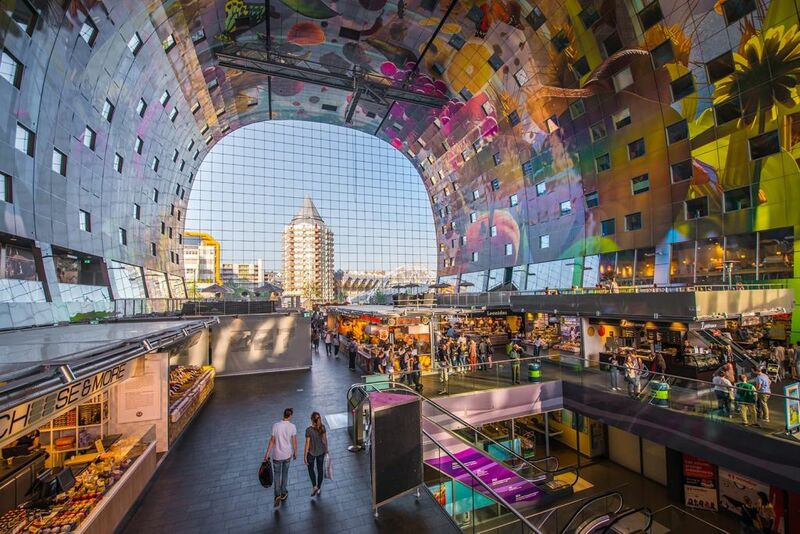 Instead, Rotterdam has missed the historic charm of other Dutch travel destinations, impressing travelers with its flair for modern architecture. A great place to start with is the geometric magic of the cube houses. They are a sea of ​​bright yellow cubes, in which people actually live. In the immediate vicinity is the market hall, which is shaped like a horseshoe, with a huge painted ceiling and all kinds of food stalls. From Rotterdam, you will see the Euromast tower and its observation deck, from where you can admire the skyline of the city from 104 meters up in the air. You can also find culture in Rotterdam with places like the Museum Boijmans van Beuningen, an art museum with works by Rembrandt, Van Gogh and Monet. Getting there: Rotterdam is a 40-minute train ride from Amsterdam. A guided tour makes it easy to reach nearby destinations such as Delft and The Hague. Another great destination in South Holland is the city of The Hague. 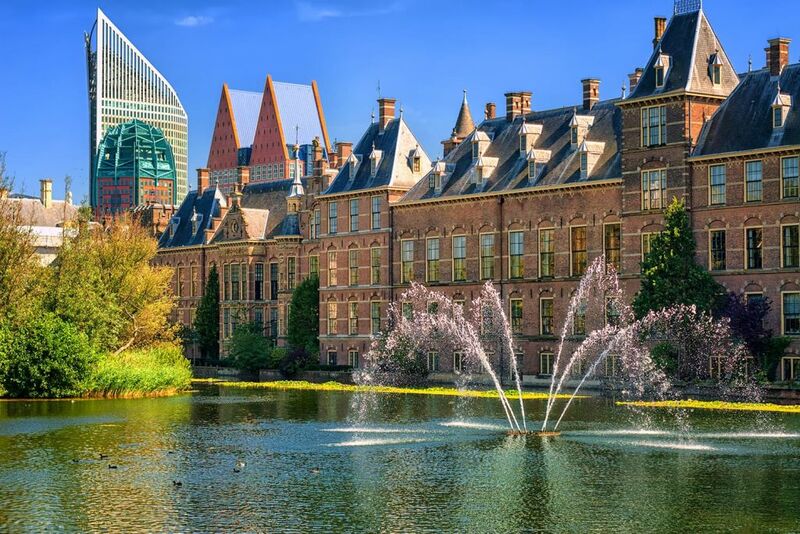 The Hague, a city of culture and national importance, is full of museums, art galleries and major institutions. For example, you will find the Dutch Parliament in the stately Binnenhof building opposite the picturesque Hofvijver Lake. Then there are all the embassies and big buildings lining the boulevard Lange Voorhout. Here you can see impressive art at the M. C. Escher Museum or the classic works at the Mauritshuis. We must not forget to mention the Noordeinde Palace, where the Dutch royal family lives, or the Peace Palace, which houses the International Court of Justice. Getting there: One of the easy train travel from Amsterdam, The Hague, is only 50 minutes by train from Amsterdam. However, to see The Hague and Rotterdam in just one day, this multi-city tour is the smart choice. In the Netherlands, there is no shortage of great rural villages. Edam, Volendam and Marken are three of the best. Each of these villages shows you what an authentic Dutch village looks like. While Edam is best known for local cheeses, the village is a pretty place for a stroll along medieval streets and many canals. In the vicinity of Edam, a little further along the coast, is Volendam, a picturesque fishing village. After a short walk around the harbor, you can dive into the complex road network of the village and find the St. Vincent Church on the way. Then there are Marken, once an island, this fishing village is now full of picturesque buildings, some of which stand on stilts to cope with the rising tides. Getting there: While every village in Amsterdam can be reached in less than 30 minutes by bus, it is also possible to take the ferry between Marche and Volendam, so you can get on the water a bit. Another, more relaxed way to see all the villages in one day is this guided Dutch countryside tour. 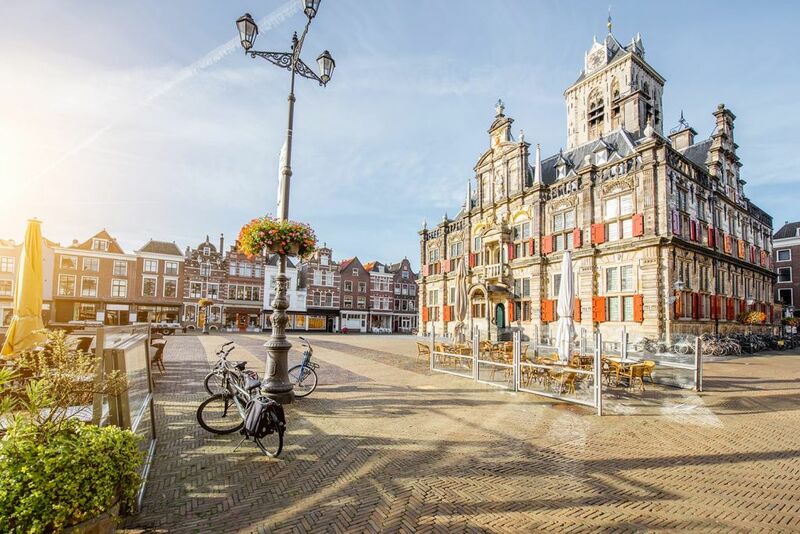 Just a stone's throw from Amsterdam, the city of Haarlem is one of the best detours in Amsterdam, of which only a few know. Haarlem is full of medieval history and character. It is the perfect place to explore the beauty of Dutch cities. They start at the Grote Markt and are already surrounded by many interesting sights, including the gothic cathedral of Grote Kerk. In the Frans Hals Museum and the Teyler Museum, you can then familiarize yourself with the local culture and art history. For a great photo you should definitely visit the windmill of Molen de Adriaan and then see the rooftops of Haarlem. If you're tired of sightseeing, you can take advantage of the city's famous shopping district with boutiques, independent shops and antique shops. Getting there: Haarlem is no easier to reach as the trains are only 19 minutes from Amsterdam and run every 15 minutes. In some parts of Europe, like the Netherlands, it is a pleasure to see how easy it is to jump into a neighboring country. A typical example is a visit to charming Bruges in Belgium, even from Amsterdam, this journey is manageable in one day. 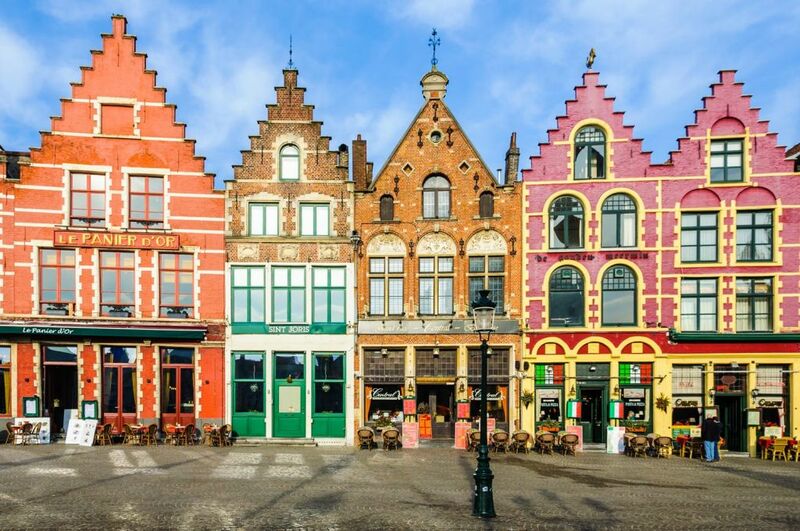 If you come to Bruges, drive to the market, where colorful houses are next to the famous Belfry and the district court of the city. From there it is a short walk to the Basilica of the Holy Blood, where a cloth with the blood of Christ is to be housed. From sacred relics to quiet canals, you can not leave Bruges without cruising the meandering, picturesque canals. By land, do not miss the sweet spots such as the Bonifacius Bridge and Walplein Square, where you can find plenty of delicious Belgian chocolate. How to get there: It is best to take a sightseeing tour to Bruges to make the best possible use of your sightseeing time. Otherwise you spend a lot of time (3 hours 30 minutes) and take the train from Amsterdam via Antwerp.